It never ceases to amaze me how many clients show up with a friend, relative, or neighbor to meet with their attorney to discuss their legal documents. The client often meets about where they want their money to go upon their death. Sometimes about who they want to name to be in charge while they are living and perhaps unable to manage their affairs, and who they want to make their medical decisions when they are unable to do so. Some pretty big decisions for most of us. It is challenging for the attorney when the client insists they want the person to remain in the conference room and then the client is unable to tell us what it is they want or constantly looks at the other person to tell them what they want. The attorney may or may not know the client and have no idea if the role this person plays in the client’s life is legitimate. It is especially worrisome when the person accompanying the client states if you can’t help us we will keep making appointments until we find a lawyer that can. Yes, that truly does happen and unfortunately if they shop long enough they will find an attorney that will complete the documents as the friend states the client wants. The attorney you are meeting with should quickly tell you they have an ethical responsibility to the client. It is to the client, and only the client, the lawyer has the professional duties of competence, diligence, loyalty and confidentiality. As the lawyer, they have an ethical responsibility to meet with the client privately and give the client time to explain what he or she wants. 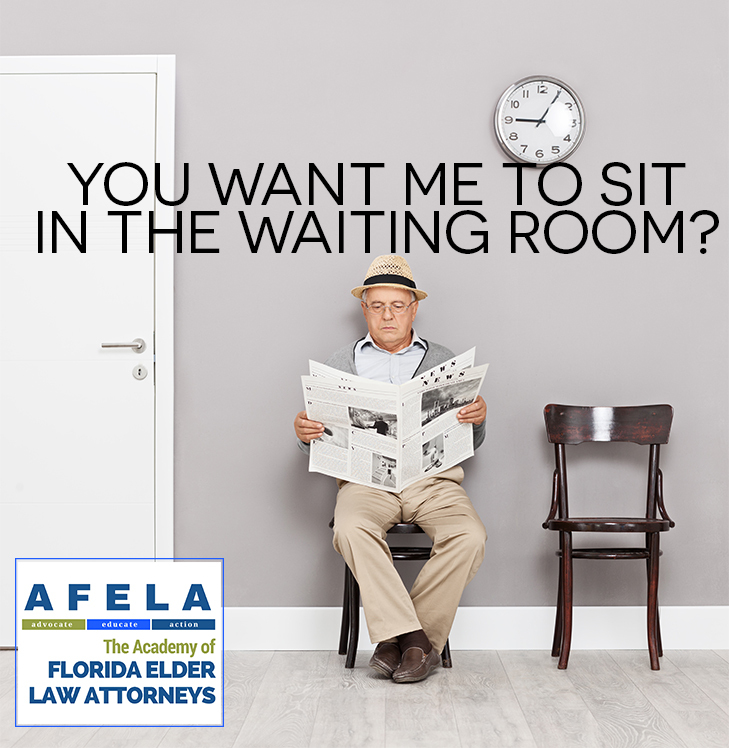 The attorney should politely ask all others in the room to allow them to meet with the client privately and to sit in the waiting room until finished. The attorney will meet with the client alone and the client will share their wishes as well as communicate their ability to share information regarding their assets as well as who their loved ones are, or special charities they want to name as beneficiaries. The person in the waiting room should be thankful for the suggestion. Litigation over who is the rightful beneficiary, undue influence, and capacity is always a concern. The outcomes of litigation seldom make everyone happy involved in the case, except for perhaps the lawyers. They get paid no matter what the result.